Portugal is famous for its bica (espresso) so just about anything you find in your average grocery is going to be a treat, but if you like loose-leaf teas, strange-looking bon bons, and chemistry set coffee contraptions, you certainly don’t want to miss this tiny shop in Chiado founded in 1930. 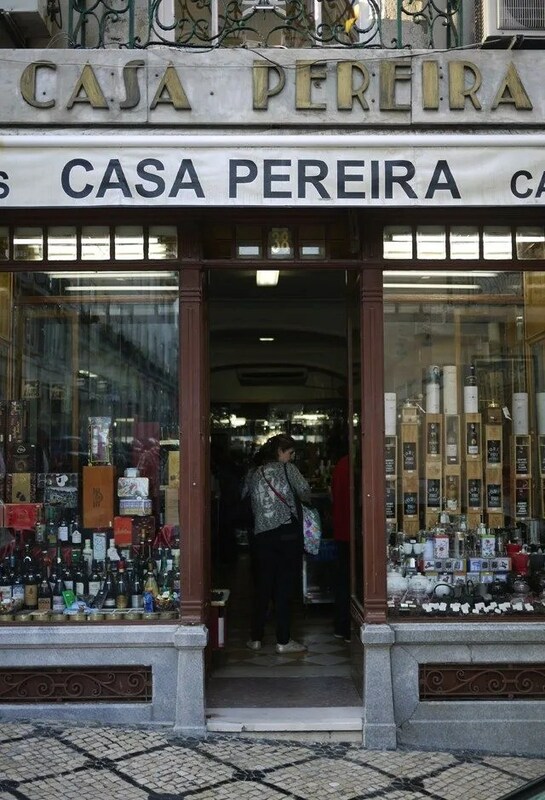 The gentlemen manning the counters seem as old as the shop itself if not older, and the vintage port wine is no different. Their coffee beans are ground in front of you in huge silver grinders the size of fire hydrants and wrapped with the utmost care and dexterity so that when you open your prize later, your senses get swept away to another dimension, no matter your choice of Arabica. Need something from the top shelf? Unless you can reach it, prepare to be on high alert: the attendants will draw out a rickety old stool and teeter ontop of it to fetch your fancy, defying the laws of gravity and half convincing you this maneuver will be their last. Now that’s dedication for you.